Pregnancy causes a plethora of physical changes to your body. Many of the musculoskeletal changes that occur can result in muscular and postural imbalances. These imbalances often lead to pain, discomfort and even injury during pregnancy, childbirth and the postpartum period. Heavier breasts, fatigue & lifestyle lead to kyphosis, a rounding forward of the shoulders accompanied by a forward position on the chin. This can lead to pain & tension in the chest &neck, headaches, referred postural problems and difficulty breastfeeding. By strengthening the upper and mid back muscles and stretching the chest and neck muscles, we can balance our bodies and prevent/restore optimal health. We can prevent and correct imbalances by maintaining a strong & flexible body. A safe & effective prenatal strength training program focuses on muscular endurance: 2-3 days/week, 1-2 sets, 10-15 repetitions. 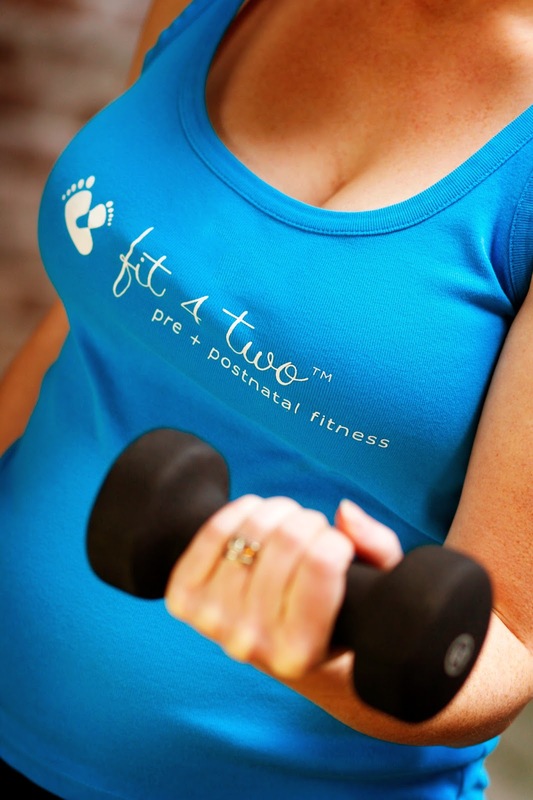 If strength training is totally new for you, consider joining a prenatal fitness class or working with a certified personal trainer with further prenatal fitness certifications. Avoid exercising on your back from 4-months onward. Doing so could interfere with blood flow to mom & baby. Drink enough water BEFORE, DURING and AFTER exercising. Remember, if you feel thirsty, you are already dehydrated. Warm up for 7-10 minutes before beginning your strength training routine. Do all strength-training exercises slowly and with control. Do not lock your joints or swing your limbs. Have a neutral spine with a stable core. Cool down for 5 – 10 minutes after your strength training routine. After you cool down, stretch all major muscles used for 30 seconds each.